Ted Raimi was born on December 14, 1965 in Detroit, Michigan, USA. His birth name is Theodore R. Raimi, and his nickname is Theo. He is 6' 2" (1.88 m) and is the younger brother of director Sam Raimi and screenwriter Ivan Raimi. 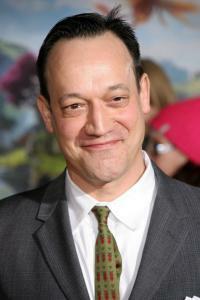 He also has siblings Andrea Raimi Rubin and Sander Raimi. Ted Raimi is also known as Bill Fergeson and Theodore Raimi. His mother is Celia Barbara Abrams who was a lingerie store proprietor, and his father Leonard Ronald Raimi was a furniture store proprietor. His ancestors came from Russia and Hungary, and he was raised in Conservative Judaism. Bruce Campbell babysat him, and he is the brother-in-law of Gillian Greene. He is an American actor who has acted in over 81 movies. He is also a screenwriter of 4 movies, director of 1 television series & 1 movie, and he is also an apprentice editor. He began his acting career at seventeen years old by working in commercials for Ford, General Motors and Chrysler. He then went to the University of Michigan and transferred to New York University and then went to the University of Detroit. He is best known for playing Lieutenant Tim O'Neill in seaQuest DSV (1993-1996), Patriot Games (1992), Born Yesterday (1993), Clear and Present Danger (1994), role as Joxer the Mighty in Xena: Warrior Princess/Hercules: The Legendary Journeys (1996-2001), Wes Craven's Shocker (1989), The Evil Dead (1981), Evil Dead II (1987), Army of Darkness (1992), Darkman (1990), Spider-Man series (2002, 2004, 2007), Stuart Saves His Family (1995), The Grudge (2004), The Midnight Meat Train (2008) and Oz the Great and Powerful (2013). He wrote "Joxer the Mighty," song which was played during the Xena: Warrior Princess (1995) episode "For Him the Bell Tolls." 2004 - Shock Cinema (USA), Iss. 25, pg. 3-6 - By: Nicanor Loreti, "Ted the Mighty: An Interview With Ted Raimi"
1998, February - Starlog (USA), Iss. 247 - By: Joe Nazzaro, "Earth's Mightiest Hero"
1998 - Spectrum (USA), Vol. 1, Iss. 12, pg. 2-9, "An Interview with Ted Raimi"
1994, January - Starlog (USA), Iss. 198 - By: Bill Warren, "The Young Ted Raimi"
1993, July - Fangoria (USA), Iss. 124, pg. 58-61,+82 - By: Anthony C. Ferrante, "Ted Raimi Slips You Some Skin"